Twisted Sister: StencilGirl June Stencil Projects - having so much fun! StencilGirl June Stencil Projects - having so much fun! 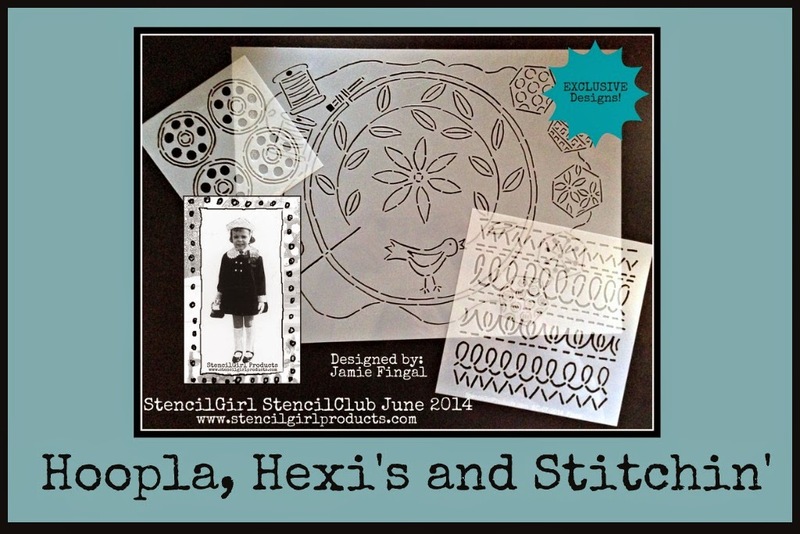 These are the three stencils that I designed for StencilGirl's exclusive club for June. Click here for details on how you can join and receive these in your mail box. This was stenciled with the large 9x12 design, and then painted with watercolors. I call it the watercolor scrumble. It was so relaxing a fun to create. This watercolor book is dedicated to all work using StencilGirl stencils. It opens, and all of the pages lay flat. For most painting and collaging. Watercolor paper with chip board in between. My watercolor pan, that has a lid and is completely portable. I love the paper towel with the paint colors all over it. back of book. So far, it is all staying together. This is my 'to do' list book. It goes everywhere with me. So ,for my next line of stencils, look forward to houses, dresses, measuring tape, stitches, and other fun designs coming out soon!